It has today confirmed that Walsall FC's Banks's Stadium will host a pre-season friendly between Aston Villa and West Ham United, with the match due to take place at 7.45pm on Wednesday, 25th July. Walsall, who will be taking on the Villans along with Rushall Olympic, Cheltenham Town and Dutch giants Ajax ahead of the 2018/19 campaign, will also see their stadium host Wolverhampton Wanderers' pre-season clash with Ajax as the club continues to explore revenue-boosting avenues. News, released via the club's official website Saddlers.co.uk, confirms that the Banks’s Stadium will host a pre-season friendly between Championship side Aston Villa and Premier League outfit West Ham on Wednesday, 25th July, kick-off 7.45pm. 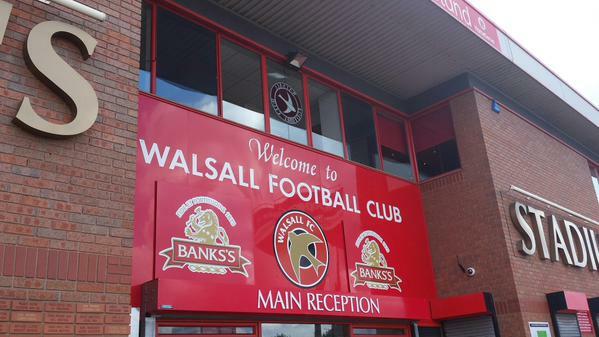 The match will be played in Walsall work on the new pitch at Villa Park will still be taking place.